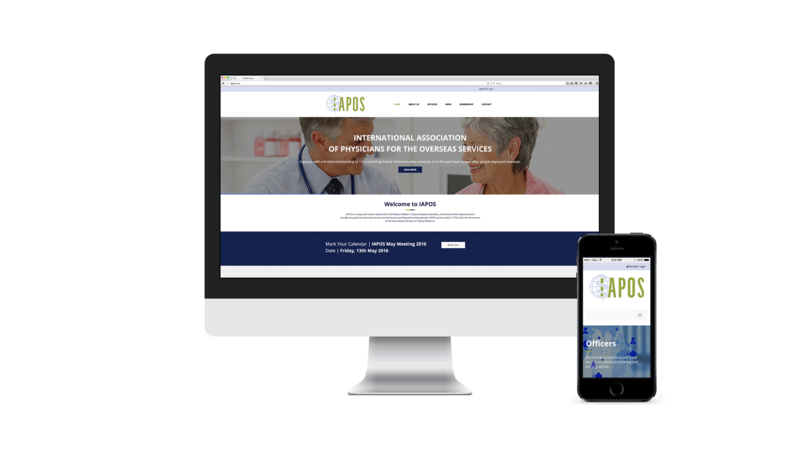 Rebranding and creating a strong online presence for a network of medical specialists. 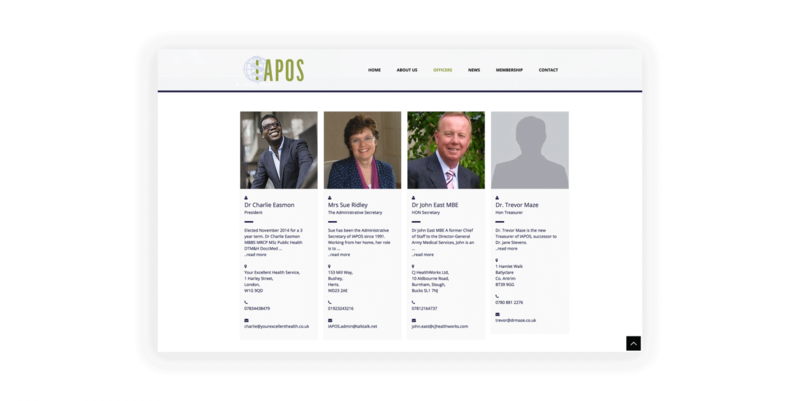 IAPOS provides general health, occupational and travel services to companies and individuals working abroad. 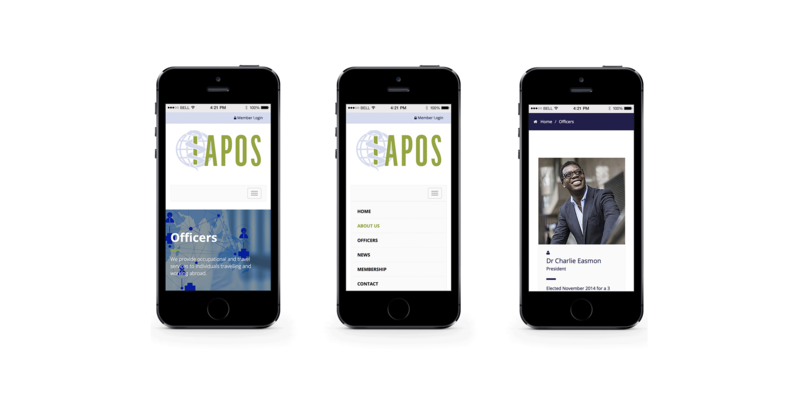 We refreshed the identity, brand and the digital user experience for IAPOS. Building upon the existing elements we redesigned the logo bringing to life an accessible and clean brand. We designed and built a bespoke responsive website. Focusing on user experience, we created a customised platform for both members and non members. Basic information can be accessed on the front end of the site and details are shared privately amongst members of the network.